What this well-acted horror lacks in logic it makes up for in atmosphere. 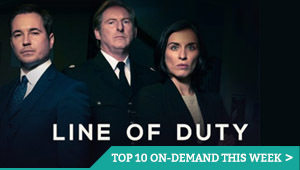 BBC One has been going gangbusters in the last year with its original dramas, stacking up box set after box set on BBC iPlayer. When Requiem was released all-at-once this Spring, then, you’d be forgiven for expecting another intriguing mystery, twisting crime case, or compelling period piece. What it is, instead, is a dark horror that doesn’t even wait an hour to drop its first bloody shock. Those of a nervous disposition, or who might find certain scenes of harm upsetting, should go no further – not because we’re hyping anything up, but because the show’s opening gambit is the suicide of Janice (Joanna Scanlan), the mother of Matilda (Lydia Wilson). It’s a gory statement of intent from writer Kris Mrksa (The Slap), who doesn’t really let up from then on, sending things creeping through houses and stalking through shadows. Matilda, a cellist, takes it upon herself to investigate what happened to her mum, something that takes on a whole new dimension when she unearths a strange press cutting in her mum’s possessions: a clip from a newspaper about the disappearance of Carys, a four-year-old girl who went missing in the Welsh town of Penllynith in 1994. She journeys with pianist and friend Hal (Joel Fry) to find out if there’s any connection. What they find is a familiar closed community of rural villagers, who resent the idea of outsiders meddling in their tragic past – and even caravan site on the outskirts where the more eccentric outcasts have their own theories about what went missing and why in the woods. The villagers are right to resent Matilda, as her detective work only seems to bring misery upon the local population; over the course of only six episodes, there is more attempted suicide, a whole host of broken mirrors, and even Hal and Matilda’s relationship begins to disintegrate. That isn’t helped by Nick (James Frecheville), an Australian who’s also an outsider and has turned up in the village to inherit his great-uncle’s estate. A grand period property with a deceased owner? It’s no surprise that Laura makes it her home, after Nick offers our duo a place to stay. After all, he has many empty rooms, and lots of nighttime corridors where things can go bump. Frecheville, who impressed years ago as the lead in Animal Kingdom, is wonderfully arrogant and unlikeable as Nick, just the right kind of presence to bring out the worst in our lead couple. He rubs Hal up the wrong way immediately, as he senses something’s not quite right, while he rubs up Matilda in another way altogether. They remain fundamentally different people, but neither are there to do any good: he’s interested in selling off history for personal gain, while Matilda will dig up any bits of it she can to find her own reward of closure. 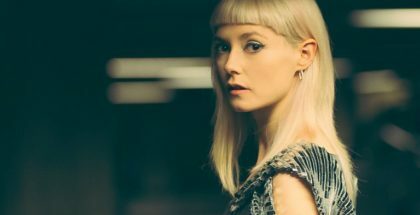 Lydia Wilson is superb as Matilda, selling her increasing obsession with the mystery surrounding her family – and it’s a good job too, as it’s not only the floorboards that creak in this spooky tale. Things take a turn towards the supernatural, and it’s soon only Wilson and Fry’s performances that can keep us holding on for all six hours, with Wilson becoming convincingly deluded and Fry remaining engagingly sane. As they split up to do their own style of policing, she teams up with a psychiatric patient, called Laura, whose visions unveil fresh new clues – and takes us into the kind of territory where we spend a lot of time watching wallpaper being torn off faded walls to reveal childish crayons scrawled beneath. Director Mahalia Belo maintains a sinister atmosphere throughout, balancing the trashier elements of the genre with a moving line in musical accompaniment; the sequences of Matilda releasing her angst by playing her instrument make for some hauntingly effective passages that elevate the whole thing. It’s a good job, given that one of the most implausible twists in the script is rationalised by one character actually saying “the way things were back in the 90s, it could’ve been done”. Conspiracies, cover-ups, creatures from mythology and more all come out of the woodwork to create a bizarre world that may frustrate with its slightly left-field conclusion. If the ending defies logic in terms of what our antagonists were hoping to achieve, though, the final act at the very least opens up potential for a more coherent second season, which, if commissioned, would give both Matilda and Hal some interesting material to explore. The prospect of seeing more of them both in action is certainly one that appeals – and the promise of Netflix backing it as a co-producer makes that prospect rather enticing. 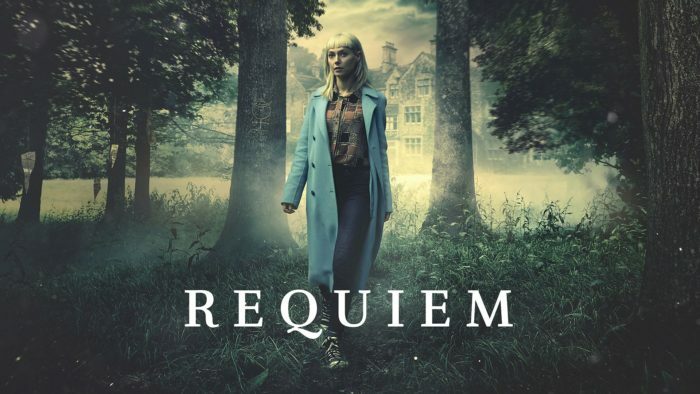 Requiem is available on Netflix UK, as part of £7.99 monthly subscription. Where can I watch Requiem on pay-per-view VOD?